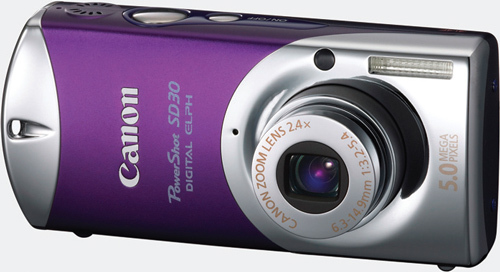 This stylish camera is small enough to carry anywhere, and it comes in cool colours like red, purple, gold, and black. With 5 megapixels and a 2.4x optical zoom, it takes some pretty good shots, too. Hold 8GB worth of photos and MP3s in this pocket-sized player. And don’t miss anything on the go with the built-in FM radio. Creative Labs Zen MicroPhoto. $320. View photos on a 2.2-inch screen while listening to an MP3 on Toshiba’s answer to the iPod. Plus, it only takes the push of a button to rip a full album. Toshiba Gigabeat 10GB MP3 Player. $300. Imagine how much better your fingers will feel when you just speak, press send, and your words turn into a text message. Text away with one of the first speech-to-text cellphones out in Canada. Samsung P207. $50 with a Rogers agreement; $340 without. Buy this wireless optical mouse from CompuSmart online, and $10 from your purchase will donated to the Canadian Breast Cancer Foundation. Microsoft Limited Edition Pink Ribbon Mouse. $40. Technology merges with a fashion accessory. While enjoying the sun in this sweet pair of Oakleys, chat with someone via its built-in Bluetooth wireless headset. Motorola RAZRWIRE with Oakley sunglasses. $385. Tone your body while watching yourself do yoga and aerobics using PlayStation 2’s new EyeToy USB camera. Follow a workout schedule and forget that this is a video game. PlayStation 2 Kinetic with EyeToy. $60.